Katie McGinty's campaign told the Washington Free Beacon that the comment made by its campaign chairman Ed Rendell regarding the number of "ugly women" in the country was "completely off-base and inappropriate." Rendell was quoted in the Washington Post on Wednesday saying that Donald Trump will run into trouble during the general election because there are "more ugly women in America than attractive women." "For every one he’ll lose 1½ , two Republican women," said Rendell. "Trump’s comments like ‘You can’t be a 10 if you’re flat-chested,’ that’ll come back to haunt him. There are probably more ugly women in America than attractive women. People take that stuff personally." 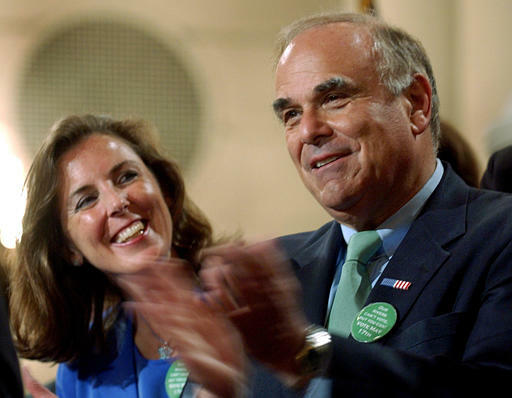 Rendell played a major role in McGinty's successful primary campaign, but the campaign was quick to denounce his comments when contacted by the Free Beacon. "Governor Rendell's comments were completely off-base and inappropriate," said Sabrina Singh, communications director for the McGinty campaign. Rendell's comment was hit quickly by media critics. "Clinton's campaign hasn't commented on the choice quote, but it's safe to assume #ImWithHer will stay a safe distance away from Rendell's analysis of the political choices of the women he has deemed unsightly," wrote Mother Jones. "To recap, according to Rendell, who once fell asleep during an interview on MSNBC, Clinton has a special appeal to the flat-chested, the cheated-on, and the downtrodden," wrote Mediate. America Rising said the comment offered "a revealing glimpse into how [Rendell] views women." McGinty served in Rendell's administration as secretary of the Department of Environmental Protection. This entry was posted in Politics and tagged Ed Rendell, Katie McGinty. Bookmark the permalink.